I am not quite sure when the Globe Inn was built or established though the first mention of it I can find is on the 18th September 1869, Mr James Edwards was resident. Mr James Edwards married Miss Hannah Maria Edwards daughter of Mr Charles Edwards from the Bush Inn. It was reported they were both running the Globe Inn and the premises were freehold. The Death of Mr James Edwards. On the 17th October 1885 Mr James Edwards sadly passed away and Mrs Hannah Maria Edwards became sole owner of the Globe Inn. In 1892 Mrs Edwards planned to have the Globe Inn demolished and to have a much larger building erected on the same site and renamed the Globe Hotel. At this time the Globe Inn was at the main entrance into town from the north and south of the valley. The roadway at this entrance from the Bush Inn into town past the Globe Inn was too narrow and the council was desperate to make the thoroughfare wider, to make the town more appealing to travellers. The council gave Mrs Edwards an ultimatum, they would only permit her planning permission if she agreed to build the new Globe Hotel three feet back from the road. In March 1892 the tender for the reconstruction was given to Mr A. P. Williams, the well known building contractor of Oak Street, Abertillery. Mr Williams accepted the work though he was in a contract to erect the New Market Hall in the same year. 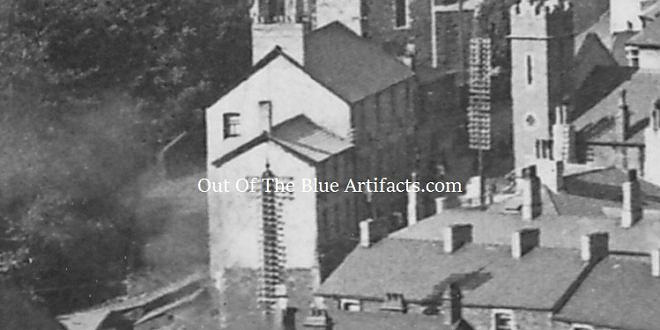 There are no details of the rebuilding of the Globe Inn or the setting back of the premises as required, except that during the reconstruction period in 1894 the licence was transferred to Mr John Charles Edwards and Mrs Hannah Maria Edwards left the Globe Inn to run the Commercial Hotel, Abertillery as licensee. 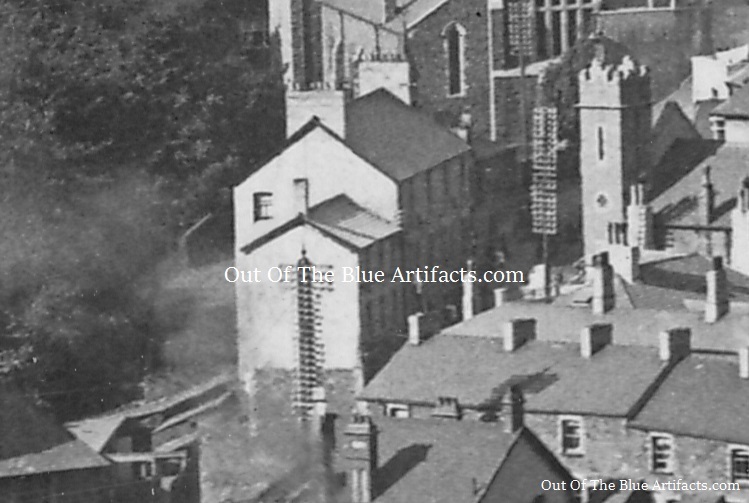 I am not sure if any other work was done on the building though I have two old images, one dated 1896 and another 1914 showing the frontage had altered with more windows on the latter photograph, though its position close to the roadway was exactly the same. In 1902 Miss Eliza Edwards daughter of Hannah Maria Edwards, landlady of the Globe Hotel married Mr David Bowen Evans, he was at one time an assistant school master to Mr Thomas Bevan at the British Schools. They ran the Globe Hotel for a while. Mrs Edwards had a disagreement with her son-in-law and signed the premises over to Messrs Phillips & Sons. Brewster’s and Beer Retailers of Newport, a direct competitor of Messrs Webb’s of Aberbeeg. In 1904 Mr Alfred Williams was the landlord of the Globe Hotel. In February 1906 Mrs Hannah Maria Edwards applied to the county for a licence to build a new hotel in Glandwr Street, Abertillery. After appeals and support from people who gave references to her exemplary past she was still refused permission on the grounds there were enough like places in the valley eg – The Railway Inn, Station Hotel, Kings Head Inn, The Clyn Mawr and The Bush Hotel. Incidentally these places were owned by Messrs Webb’s of Aberbeeg! At some point Mr John Charles Edwards and Mrs Hannah Maria Edwards left Abertillery, in 1911 he was at Gilwern and was the landlord of the Corn Exchange. I’m not sure if Messrs Webb’s took over the Globe Inn from Messrs Phillips & Sons at this point, (I have searched but cannot find any report of it). The Death of Mrs Hannah Maria Edwards. On the 13th February 1920 Mrs Hannah Maria Edwards sadly passed away at her residence The Poplars, Gilwern, Abergavenny. The Departure of Mr and Mrs Alfred Williams. In December 1924 Mr Alfred Williams was honoured for his work as landlord in the licensing trade and he and his wife left Abertillery to live at Winterbourne, South Gloucestershire. In February 1925 Mr William Brown took over the licence of the Globe Hotel. Mr Brown sadly passed away on the 5th October 1926 at 54 years of age. Mr and Mrs James Jones. In 1930 Mr and Mrs James Jones of the Station Hotel became licensees of the Globe Hotel. The Globe Hotel closed as a public house in the 1960’s and was demolished in the early 1980’s prior to the 1983 reconstruction of the towns roads and the re-routing of the roadways.